Following a marathon game two of the Red Sox series in which the Yankees outlasted the Red Sox through 16 grueling innings, the Yankees looked to continue the momentum and secure at least a series tie in game one of today’s doubleheader. 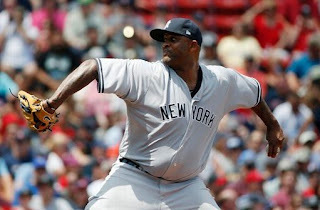 Sabathia took the mound and managed six strong innings, followed by the bullpen with a surprisingly strong outing. Despite continued struggles from the Yankees main offensive weapon Aaron Judge, the Yankees still put up three runs on 12 hits to give Sabathia a well deserved win and take game one of the double header. The first three innings saw little action as both teams saw opportunities with runners in scoring position pass them by. Sabathia started off struggling with control a bit to start, as three out of four baserunners allowed in the first three innings came off of walks. This nearly led to runs scored, but the Yankees just barely escaped with the scoreless tie intact due to a double play and Sabathia throwing out Sam Travis trying to head home. The Yankees offense managed four hits through the first three innings but was unable to convert anything into runs until the fourth inning. 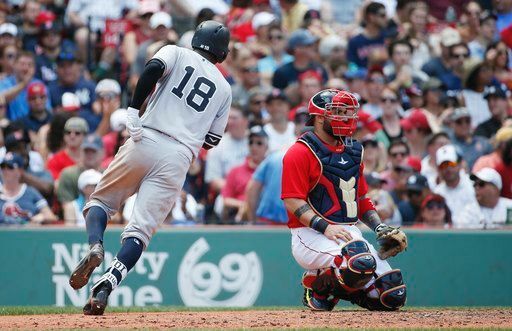 The Yankees loaded the bases through singles from Gregorius and Romine, as well as an error by Bogaerts which allowed Frazier onto base. This finally resulted in runs on the scoreboard due to a Ji-Man Choi sacrifice fly which scored Gregorius and a Torreyes single which scored Romine. 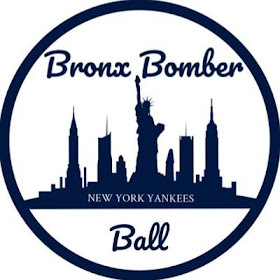 The fifth inning saw four Yankees come up to the plate with only one causing damage, as Gregorius hammered a ball over the wall to make the score 3-0. Sabathia continued his shutout work as the Red Sox could not muster much offense against him other than a hit here and there and a few walks through the end of the sixth inning. While the seventh only saw four Yankees come to the plate, Aaron Judge used this inning to finally force his way on base during this miniature slump with a single to pitcher Austin Maddox. Sabathia was replaced by Tyler Clippard in the bottom of the seventh who made quick work of the inning, only allowing one baserunner. 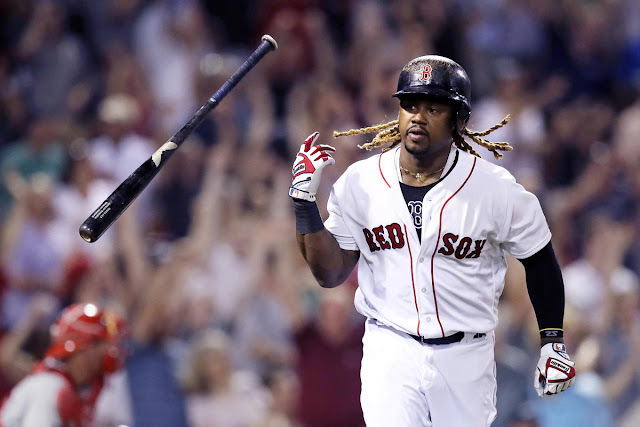 He was followed by Chad Green in the bottom of the eighth who struggled a bit with command, as he allowed two walks with two outs, but he managed to get out of the inning with the shutout intact after a Jackie Bradley Jr. strikeout. The ninth saw Chapman come in to close the game and hold the shutout and not replicate his disastrous outing in the series’ first game. 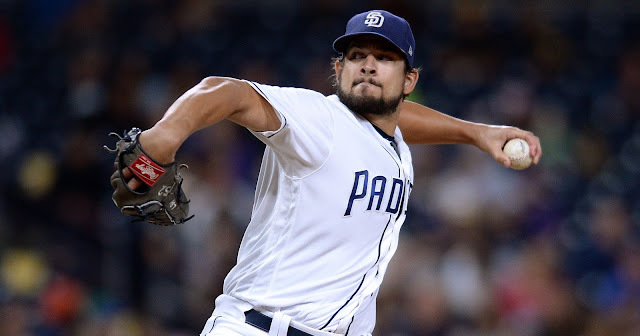 He managed to do just that as he allowed just one hit to Dustin Pedroia and closed the inning in four batters, securing the save and the victory for the Yankees. 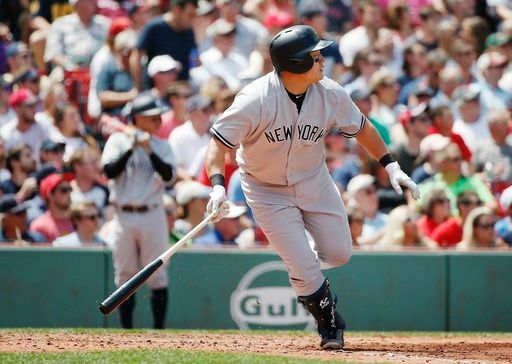 The Yankees now ride a two game win streak into game two of today’s doubleheader, where the Yankees look to continue picking up ground on the first place Red Sox and take the series three games to one.